US equity indexes closed on a broadly positive note, sp +6pts (0.2%) at 2857. The two leaders - Trans/R2K, settled +1.2% and +0.3% respectively. 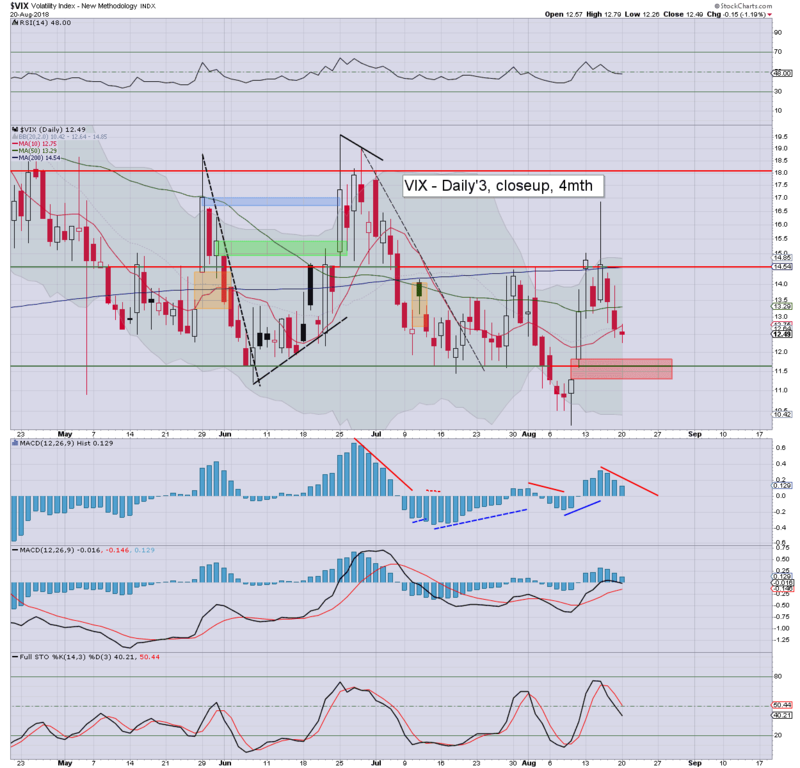 VIX settled -1.2% at 12.49. 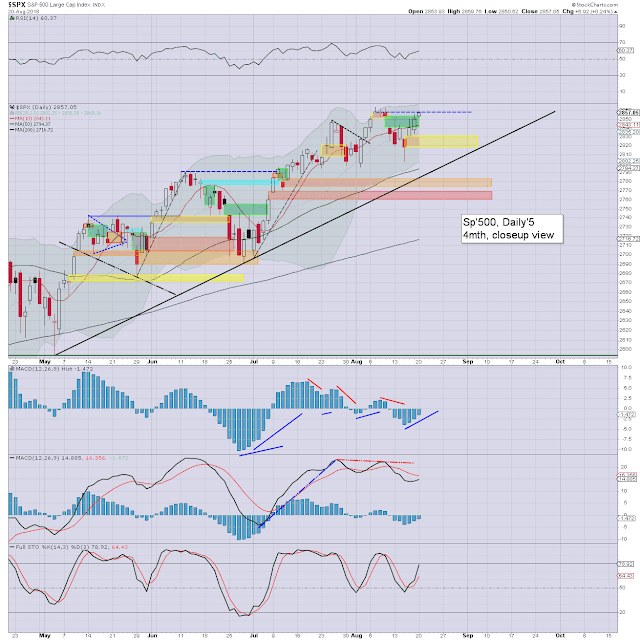 Near term outlook offers new historic highs >sp'2872. US equities opened a little higher, and whilst the gains were initially shaky, the market clawed upward into the late afternoon. 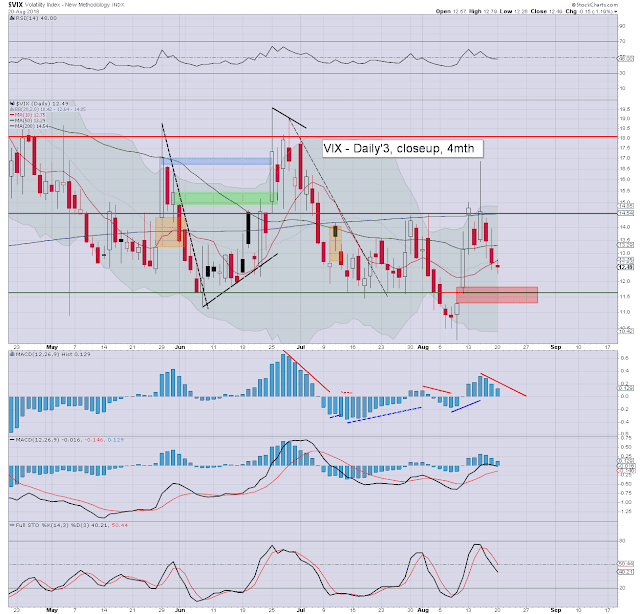 Volatility was naturally subdued, with the VIX settling in the mid 12s. S/t outlook offers new historic highs in equities. If so, then VIX will remain sub-teens.